A Business Improvement District (BID) is a business-led and controlled partnership in a given area such as the Town Centre, which delivers an agreed set of services and projects. These are agreed, and formally voted for, by all businesses in the Business Improvement District and are in additional to what the public agencies provide. A BID typically lasts for five years with the bottom-line being that it improves the trading environment and public domain. BIDs are governed by legislation contained in the Local Government Act 2003. What does a BID deliver? BIDs can deliver any projects or services that are agreed by the relevant businesses. In Royal Leamington Spa they are marketing & promotional activities, improved way-finding and higher profile events. The actual projects and services are determined as a result of detailed consultation with all the business in the BID area and are set out in the BID Business Plan 2013-2018. The new Business Plan 2018-2023 can be found here. This sets out the activities that will be delivered subject to BID Leamington being renewed in the March 2018 ballot. Who can develop a BID? The BID is set up as a Company Limited by Guarantee. This is a business controlled, not-for-profit company that is responsible for the delivery of the BID Business Plan and is accountable to the BID Board (link) and ultimately its levy payers. 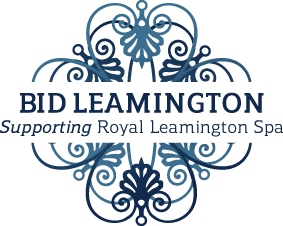 Those businesses that are located within the Leamington BID area, and whose property has a rateable value of over £15,000, pay 1.6% of their rateable value towards the BID. This is called a BID Levy. The BID Levy is normally paid by the occupiers of a property. The BID Levy is collected in July on an annual basis and invoices are issued by Warwick District Council, as the collection agent. Does BID replace the local authority’s services? No, BID can only carry out projects or services in addition to those that public agencies have to provide. However, a BID can agree to provide additional resources to deliver a higher level of local authority service over the current benchmarked level. An example of this is the Christmas Lights contribution whereby BID funding has been used to enhance the lighting in the BID area, but the Local Authority continue to fund the installation, take-down and power. Do BIDs replace town centre management? BIDs can be established any commercial or industrial areas which may not necessarily have a town centre management function in place. Where there is one in place, a BID will work in partnership to enhance services. However BID’s will not replace the functions of town centre management as they must deliver on specific issues as laid out in the business plan and prospectus. In Royal Leamington Spa, the Town Centre Development Officer has responsibility for both businesses in the BID area and those in the south of the town outside the BID area. BID Leamington works with the Town Centre Development Officer where necessary to deliver complementary services to give a town a competitive edge over rivals. How is the BID monitored? Like any good business plan, specific key performance indicators (KPI’s) are set and performance is monitored against the KPI’s by the BID board. As businesses contribute the funding to achieve those specific KPI’s, the BID Company is required to monitor and inform its members how well it performs on a regular basis. Can I be in the BID if my property has a rateable value less than £15,000? Yes, a property that is located within the ‘Leamington Spa Town Centre’ as defined by the Warwick District Council Local Plan, can become a voluntary member. The fee is the same as other BID member businesses, so is worked out at 1.6% of the ratable value of the property or a minimum fee from £100.00 + VAT per year. This means that the property will receive similar benefits e.g. inclusion on the Royal Leamington Spa website, Mini-Maps & Guides, Little Book of Offers advertising and more. Please contact us for more details. Is the BID Levy paid when a property in the BID area is vacant? Yes, the BID Levy on a vacant property must be paid by the property owner. Property owners also benefit from BID activities which seek to enhance the appearance and vitality of the Business District, thus improving retail performance. Also, where a property is vacant we endeavour to work with property owners ensure the appearance of the vacant unit does not detract from the rest of the town centre and to identify appropriate opportunities to bring it back into use.